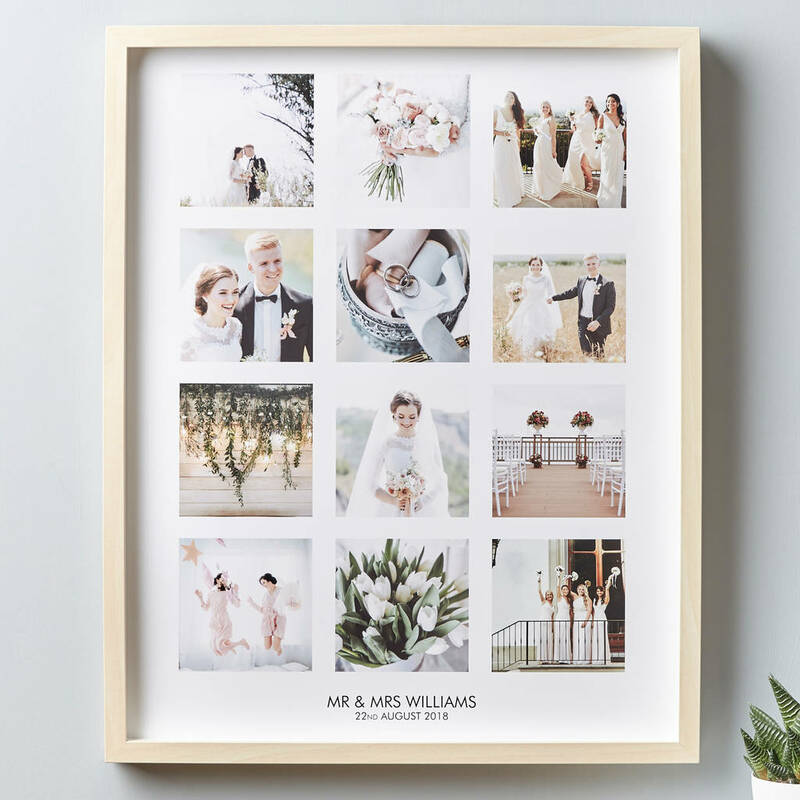 Our stunning Personalised Framed Wedding Photo Print is a beautiful way to display your favourite snaps from the big day. This personalised print makes a lovely gift for someone special to share in their home. 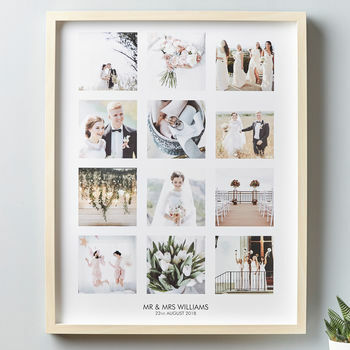 Printed with 12 of your most treasured memories and a personalised message, this framed print is perfect to celebrate weddings, anniversaries, favourite adventures and more. 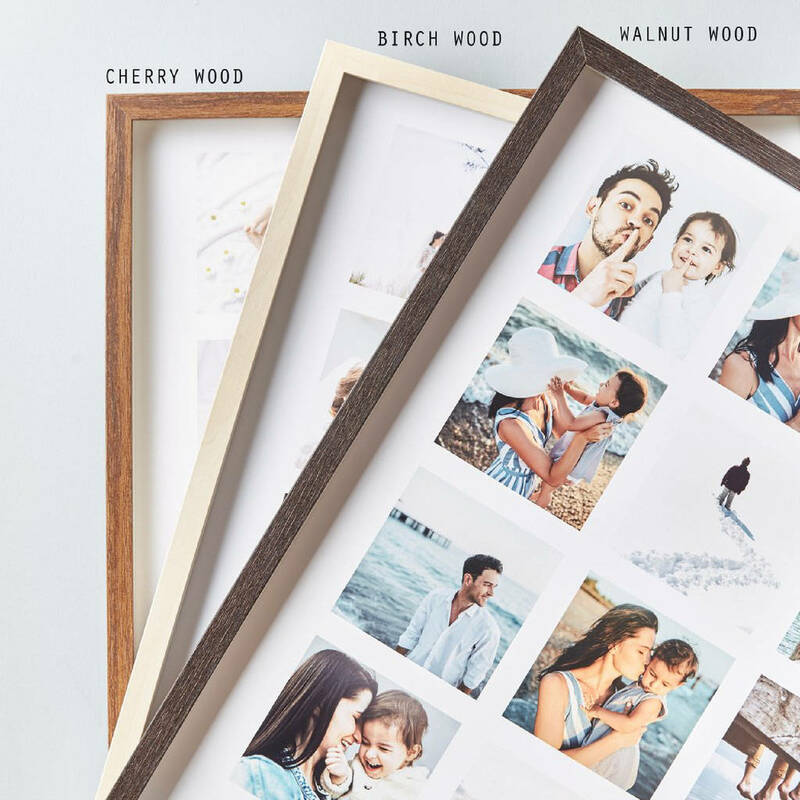 Create a stunning framed photo print to capture your favourite moments from your wedding day and share with family and friends. Personalisation will be identical to information entered, please ensure all wording is correct when placing your order.